If you are looking for a fun last minute Christmas craft for your kids, these construction paper wreaths are super easy and will look cute decorating your home for Christmas. I love how Rachel strung them like a garland too. A great decoration for a Christmas party. 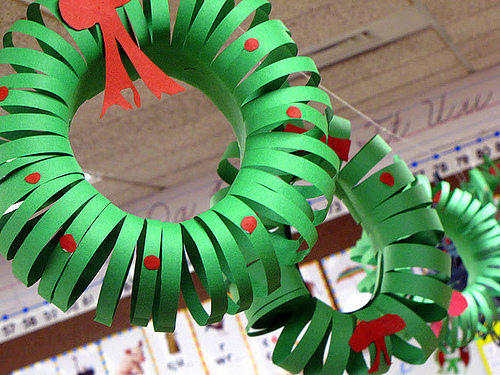 You can see how to make construction paper wreath over at Our Small-Town Idaho Life.